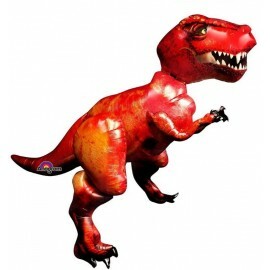 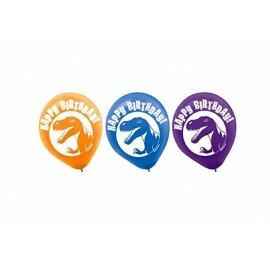 45cm Dinosaur Party Happy Birthday Foil Balloon (Self sealing balloon, Requires helium inflation) Each..
45cm The Good Dinosaur Group Foil Balloon (Self sealing balloon, requires helium inflation) Each..
Airwalker Tyrannosaurus T-Rex Dinosaur 172cm Wide x 154cm High Foil Balloon (Self sealing balloon, Requires helium or air inflation) Each.. 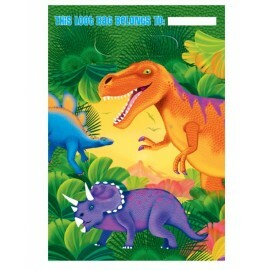 Banner Letter Add An Age Prehistoric Dinosaur Measures 3.2 Metres Long x 25.4cm High. 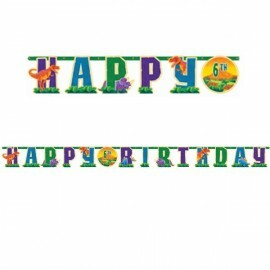 Includes numbers to suit any age (2 x 0,1,2,3,4,5,6,7,8,9, and 1 x TH,RD,ND,ST) and 5 pieces of double sided tape. 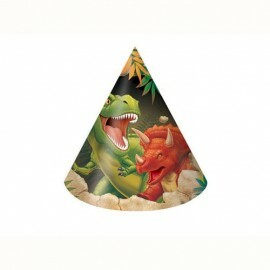 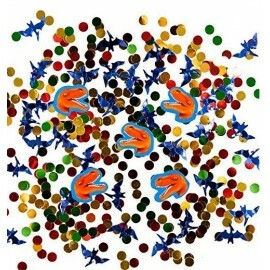 Each..
Dino Blast Party Hats Cone Shaped Child Size Pack of 8.. 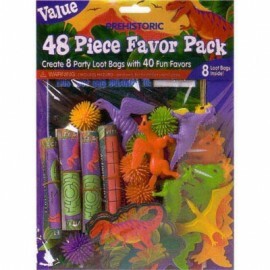 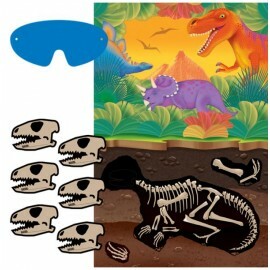 Favor Value Pack Prehistoric Dinosaur Party (Contains 8 Loot Bags and 40 Assorted Favours) Pack of 48.. 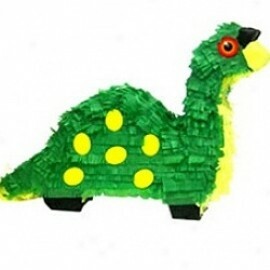 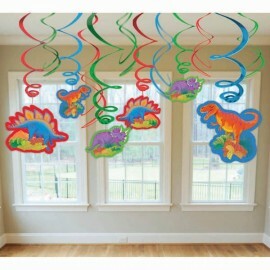 Hanging Swirls Dinosaur Value Pack With Cutouts (Swirls with Cutouts are 60cm Long, Swirls only are 45cm Long) Pack of 12..
Pinata Dinosaur . 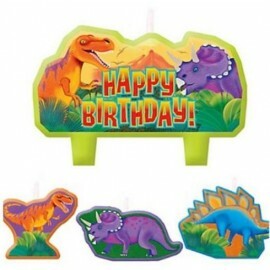 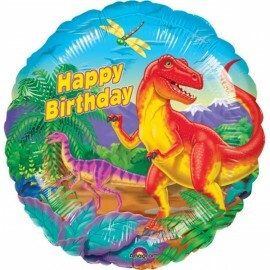 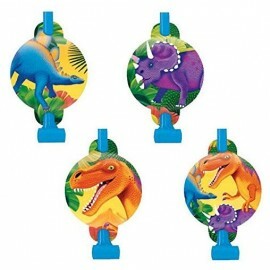 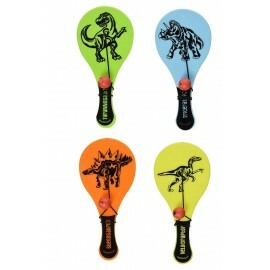 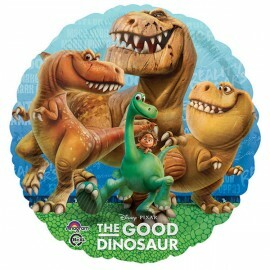 (Not suitable for Express Post due to size of product) Each..
Prehistoric Dinosaurs Blowouts & Medallions Assorted Designs - Cardboard Pack of 8..
Prehistoric Dinosaurs Candle Set Happy Birthday Mini Moulded Set Pack of 4..
Prehistoric Dinosaurs Confetti Value Pack Cardboard & Foil 34 Grams..
Prehistoric Dinosaurs Latex Balloons Birthday 30cm Assorted Purple, Blue & Orange Pack of 6..
Prehistoric Dinosaurs Loot Bags 22cm x 16cm Plastic Pack of 8..
Prehistoric Dinosaurs Paddle Ball Favors Assorted Designs 12cm Pack of 12..
Prehistoric Dinosaurs Party Game 1 x Plastic Poster, 12 x Stickers & 1 Paper Blindfold Each..